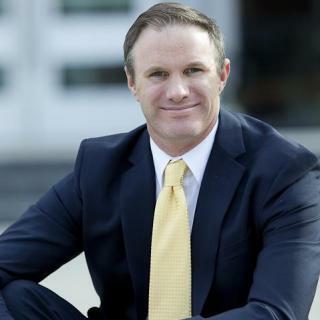 Patrick Mahoney of Mahoney Law PLLC is an established, top Idaho medical malpractice and personal injury attorney with over two decades of experience serving all of Idaho. In the last ten years alone, Mahoney Law has recovered over $20 million for its clients. Patrick's top-tier ratings on Super-Lawyers, AVVO, and Google speak for themselves. Mahoney Law is a Better Business Bureau accredited law firm based on its core values and approach to client service. Patrick attended the University of Idaho's College of Law, where he was an Editor of the Law Review, and then clerked for two District Court trial judges in Boise before entering private practice in one of Idaho's top civil litigation firms. Mahoney Law strives to hold accountable those who have injured or wronged our clients. Mahoney Law is focused and aggressive, so your case gets the individualized attention it deserves. Mahoney Law provides free, confidential, no obligation consultations and case reviews. The firm utilizes the best experts when necessary for a proper case evaluation. Mahoney Law and its staff are prompt, friendly, and approachable -- they make time for your questions and help you understand the landscape of medical malpractice law. The firm works on a contingency fee (commission) basis where you only pay a percentage of attorney fees out of a successful settlement or verdict so that you can afford to hire a lawyer. Free case reviews. Free, no obligation consultations. Q. Is it legal for the physician to require me to pay out of pocket? A: Usually, when you obtain medical treatment, devices, or services, you agree to pay the bill, one way or the other. If you have insurance, the doctor submits to insurance for possible coverage. Pre-authorization is determined if necessary. If you do not have insurance coverage, usually you have agreed to pay the bill, which means out of pocket. You could argue that the physician's office failed to get pre-approval. It would depend on all the facts. Consult counsel in your area. A: If you have insurance, your coverage may pay for a rental car. You may ultimately be able to claim rental car expenses as damages in a claim made against the other side. Consult counsel in your area.